A few years ago, I wrote a post about Instagram on how to get more followers and likes. But there’s a problem with that post. I wrote it in 2012! Instagram is a completely different animal today. If you read my old article, you’ll get some useful tips and tricks. But you won’t know how to leverage all of Instagram’s new features. Since that time, Instagram changed their entire look! The shiny new Instagram has more users, more power, more capabilities, more features, and more potential than it did in 2012. It was time to produce a new article on Instagram. That’s the main reason I wrote this article. But there’s another reason I wrote this article. I want to help you succeed on Instagram. what does it mean to succeed? It means that you’re attracting all the normal stuff like followers, likes, mentions, and comments. It also means that you’re engaging at a deeper level with your audience. You’re connecting with them in a way that truly matters. In this article, you’re going to learn how to get 300+ real, targeted Instagram followers per day. I’ll show you how to do this step-by-step. In case you’re new to the platform, let me give you some quick facts on Instagram. They grew so fast that Facebook took interest and bought them for $1 billion in April, 2012. As of June 2016, Instagram has 500 million monthly active users! Instagram used to be a really basic app. You took a picture. You put a filter on it (to make yourself look better). You shared with your small Instagram following. Today, Instagram is packed with tons of features. Once Snapchat started attracting millions of followers, and when apps like Periscope leveraged live video, Instagram rushed to offer these features as well. You can also post Stories. Stories appear at the top of your friends’ feeds, and appear there for only 24 hours. If you want to keep your stories discrete, you can send them only to select friends or curated groups. Like Snapchat, you can edit your pictures with text, drawing, and other special effects. 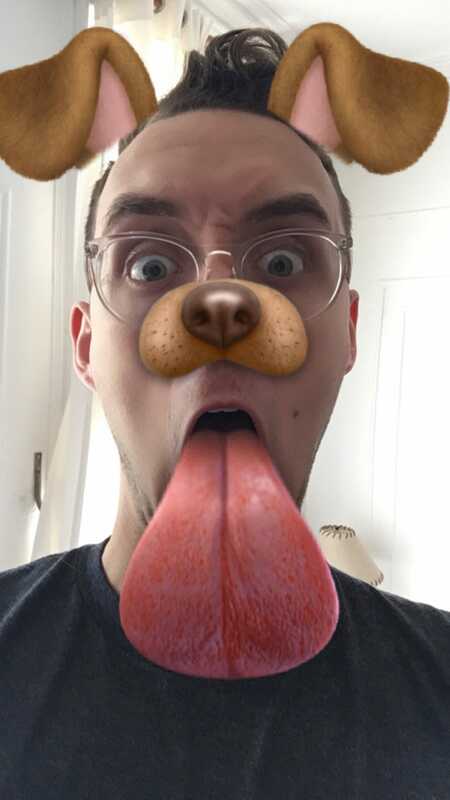 Unlike Snapchat, however, there are no filters that make you look like a dog. Instagram’s Live Video feature is still catching on. It’s not like most live video platforms, because the video disappears as soon as you stop streaming. You can watch live videos only while they’re being filmed. My goal in this article is just to show you how to get followers, not teach you how to use every feature. Still, it’s important to be aware of these features, because you’re going to be using them as you grow your audience by thousands per week. The first five steps are foundational, so I’ll go through each of them briefly. Then, I’ll dive into details in steps 6-8. Name. I recommend using your personal name. Username. Your username needs to be unique. If your name is already taken, add some words or phrases that make it distinct. A URL. Point this to your website if you have one. This URL is the only clickable link that you’ll be able to provide on Instagram. Information. A brief description about yourself. Make this description as warm and engaging as possible. An emoji or two doesn’t hurt. Instagram is all about the pictures. In this step, you need to build a collection of attention-grabbing posts.Here’s how. No one likes to see an Instagram account that is stacked with stock photos or reposted viral pictures. Use your own photos. Whenever you post a photo, think about the group that you want to attract. Who are these people? What will grab their attention? I’ll provide some examples of relevancy below. When you add a location to your photo, you’ll get more visibility. Why? Because your photo “lives” in that location. Anytime someone searches for photos taken within an area, they will see your photo. To make things quicker, I open Notes on my Macbook which syncs with Notes my phone. I type the caption completely, and spell check it. You have to lead with a great picture, but a good picture isn’t enough. Everyone’s already doing that! You have to add more value by producing more written content! You can Instagram all day long, but if you’re not using hashtags, you won’t grow your audience.It’s that simple. If you use the bland hashtags like #happy and #selfie, you’ll get some people to notice your post, but it won’t be the right kind of people. I recommend putting your hashtags in a comment on your own photo. For example, you may type “#digitalmarketer”. Notice what happens in Instagram when you do this. Instagram shows you a list of popular hashtags! You don’t need to guess which ones are popular, because you can see the post count on the right hand side. When you find a list of hashtags that gets high levels of engagement, I recommend copying these and saving them in a note file on your phone. That way, instead of typing them out every time, you can copy and paste them into your comment. Here’s a good rule of thumb: No less than 5. No more than 30. Wow. That’s a lot of stories! This Instagrammer keeps up a regular stockpile of 30+ stories. The technique is effective, because she appears regularly at the top of her followers’ newsfeeds. Live video hasn’t taken off on Instagram like it has on Facebook, but it’s still powerful. Believe it or not, everything we’ve discussed up to this point has been simple introduction. Tap “tags,” and begin searching for a term that is relevant in your industry. I noticed that “#digitalmarketing” has nearly 900,000 posts, so I tap it first. Here’s what I see. I’m going to tap the photo of Warren Buffett. Immediately, I notice that this photo has 1,230 likes. That’s a lot of likes. I also notice that the photo was posted by @successfield. I may have never heard of @successfield, but they are obviously posting photos within my niche. And those photos are obviously popular. I notice that they have 69.6k followers. This is a large following. I want to follow their followers. Here’s the rationale. If these 69.6k people chose to follow @successfield, then they might choose to follow me, too. I’m in the same niche, same industry, and am providing just as much value (if not more!). I tap “69.6” to see the list of followers. You should follow this process multiple times in order to find more influencers in your space. Also, you should find the influencers who have the most engaged audience. Type a tag that is relevant in your industry. There are probably dozens if not hundreds of tags you could use. This is where you should branch out and experiment with different tags. I also recommend exploring the “related” tags that Instagram displays at the top of the screen. You can find valuable tags and users that people are engaging on using this list. Nobody except a few select Instagram developers know the exact numbers. Instagram is a valuable place for personal branding and sales. It’s easy to neglect it, though, because it seems challenging to build a following. There is a way to building a powerful tribe of targeted followers. These are the exact steps that I and my clients have used to attract more than 300 followers every day. One of the best parts about it is that these followers are loyal. As long as I’m providing valuable content and regularly contributing as a member of the community, they won’t unfollow me. Instead, they’ll tell other people about me, and my following will continue to grow. Eventually, you’ll reach a point where you won’t have to follow other users as aggressively. Instead, people will start flocking to you. By that point, all your hard work has paid off, and you’re well on your way to becoming a powerful Instagram brand.